We register all patients that live within our inner boundary area. The area is bordered by parts of Stroud Green Road, Blackstock Road, Highbury Park, Highbury Hill, Drayton Park, Holloway Road, Tollington Way and Tollington Park. Click here to see a map of the area outlined in blue. Please check with reception team if you fall within this catchment area by providing your street name and postcode. There are two ways that you can register with the Practice: In Person or Online. Whichever way you choose, you will need to come into the Practice with 2 forms of ID which are; a photograph ID (passport / drivers licence) and a proof of address (e.g. utility bill / bank statement within last 3 months) in order to be registered. The name /address of your previous Practice would help to speed your registration up if you can please provide your NHS number ( you can obtain from your previous GP). Your registration will not be processed unless relevant documentation is produced. PLEASE NOTE AS PART OF OUR ONGOING COMMITMENT TO YOUR HEALTH, WE USE MOBILE NUMBERS AND/OR E MAIL ADDRESSES TO CONTACT YOU REGARDING YOUR DIRECT HEALTHCARE. To register in person, you will need to come in to pick up our registration pack or print it out and bring it to reception. Complete the form and return it to us along with 2 forms of ID. A photograph ID (e.g. passport / drivers licence) and a proof of address (e.g. utility bill / bank statement within last 3 months). Anyone aged 16 and over is deemed an adult. Upon viewing your two forms of ID you will be given a new patient pack which contains plenty of information about the Practice and all the services that we provide. It will take us approx. 10 working days to manually input all your data onto our system after which time you are able to book an appointment to see a doctor or nurse when necessary. We will also ask you to book an appointment with our Health Care Assistant for a NHS Check for over 35. If you register online the registration process will be much faster. The child's Red Book or a record of any immunisations they have had. To register online, you will need to complete the online pre- registration and visit the Practice within 5 working days with a photograph ID (passport / drivers licence) and a proof of address (e.g. utility bill / bank statement within last 3 months) to fully complete your registration with us. A full registration must be completed within 5 working days at the Practice to avoid cancellation. We are a Safe Surgery for everyone in our practice area. free care from a GP. difficult to communicate in English. Keep all medicines in a secure locked place out of the reach of small children. Always read the instructions and use the recommended dose. Watch the expiry dates and do not keep medicines beyond this. 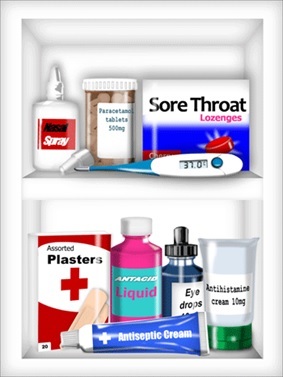 Take unwanted or out of date medicines back to the pharmacy for safe disposal. Antibiotics cure serious diseases, not cold coughs and wheezes - save them for when it's really necessary. Those who are homeless, vulnerably housed or ‘of no fixed abode’, asylum seekers, refugees and overseas visitors, whether lawfully in the UK or not, are eligible to register with a GP practice even if they have to pay for NHS services outside of the GP practice. Homeless patients are entitled to register with a GP using a temporary address which may be a friend's address or a day centre. The practice may also use the practice address to register them. You do not need proof of address or ID. Please see leaflet below or ask a member of the Reception Team for more information. Please note if you require an appointment on the day then we operate a Quick Access Clinic between 8.30 and 10.30. Otherwise please ask Reception for more information.